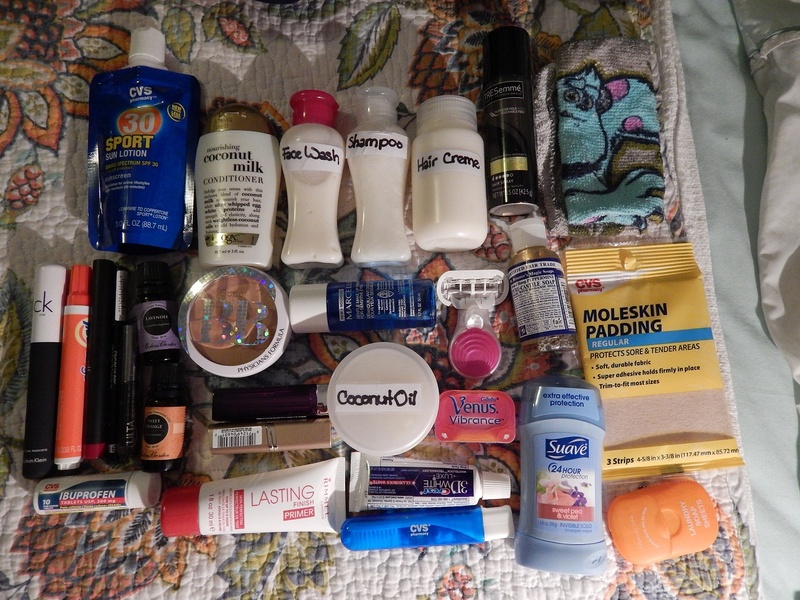 Since I am currently three hours away from heading to the airport to start my 2 month backpacking endeavor I saw it fit to talk about how the hell you pack for a trip like this! 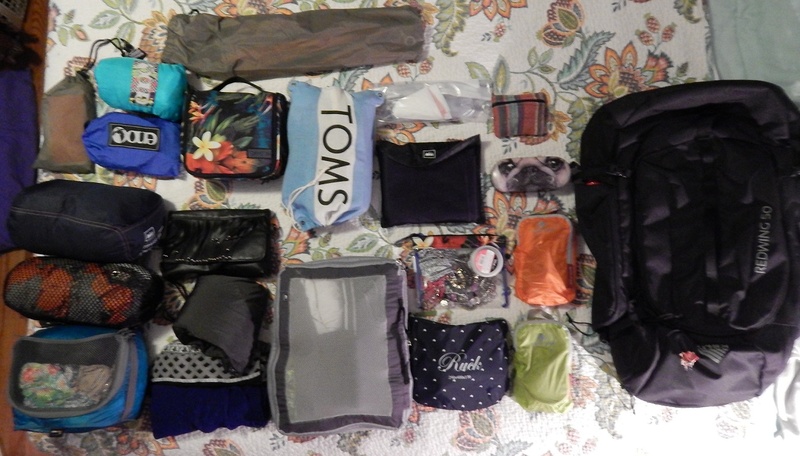 Most people will say “Okay Chantel, so you’re going to go backpacking for two months but how the heck are you going to fit everything into a backpack?” This was a lot for me to take in at first too. My friends will attest that my closet is currently pleading with me to stop putting clothing, shoes and accessories in it. So I guess you can say that when I came up with my plan to go backpacking for two months I certainly had to go through some adjustments in regards to what I would take. Some of those adjustments are things that any person should consider when going on any trip so I hope they can help you in the future. Here’s two months for ya! The first is to consider what kind of luggage you want to bring on a trip. I was always a carry on kind of gal but once I made the change over to a travel backpack I highly doubt I’ll be going back. A backpack gives you freedom to just sling it on your back and have both hands freely available. Also, when walking up four flights of stairs I know I’ll be thankful for a backpack instead of a rolling suitcase. However, a carryon is nice because the weight is not on your back. But at the same time you have to remember that nicely paved sidewalks and streets are a luxury item and you won’t find it as easy to roll a suitcase everywhere you go. 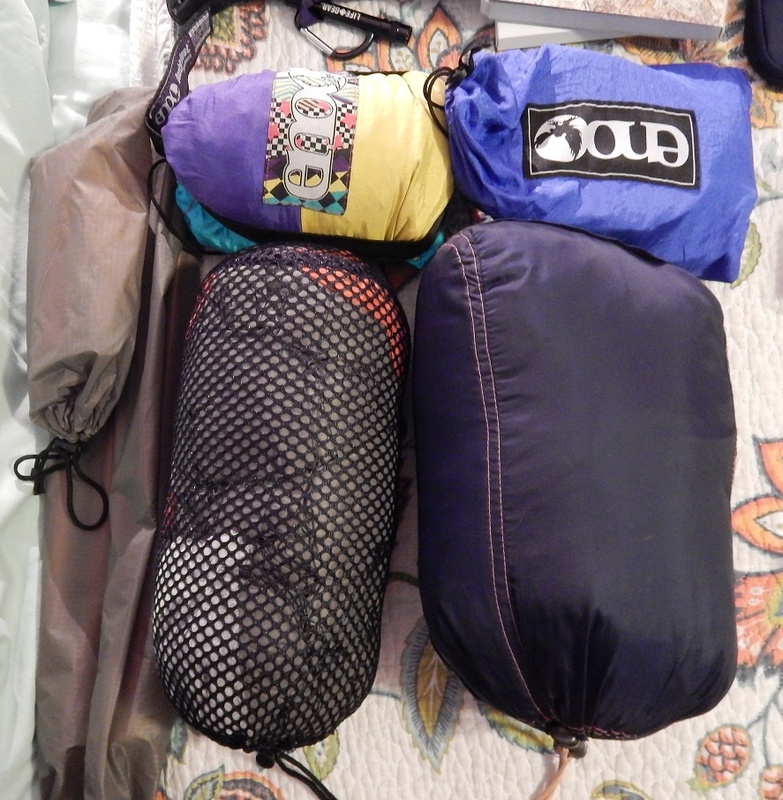 Once you find the perfect pack (or luggage, hey whatever floats your boat right).The first thing one has to do is consider the type of clothes they’ll need to bring. The season really will dictate what should and shouldn’t stay. Since I’ll be traveling from early May to Mid-July that means that I will deal with hot days, some cold nights and rainy afternoons. Keeping that in mind, this is where I went through my biggest adjustment. KEEPING IT SIMPLE. I’m a woman of patterns, I love prints, I love statement pieces that will instantly jazz up my wardrobe. But thinking realistically this wasn’t going to cut it. Yes I would love to pack that one dress that makes my legs look killer while getting down on the dance floor. But for practical purposes, after one or two uses it would just take up space that could have been replaced with that gorgeous scarf found at a flea market in Florence. You see what I’m getting at? By keeping things basic and neutral I can mix and match and create more outfits. Not only that but basics are easy to find so if I spill delicious sangria on that one white tee then I can easily grab another one on the road. Rather than being really upset that I spilled something on that one shirt that I’ve had since I was 19 that I got for Christmas one year, blah blah blah. 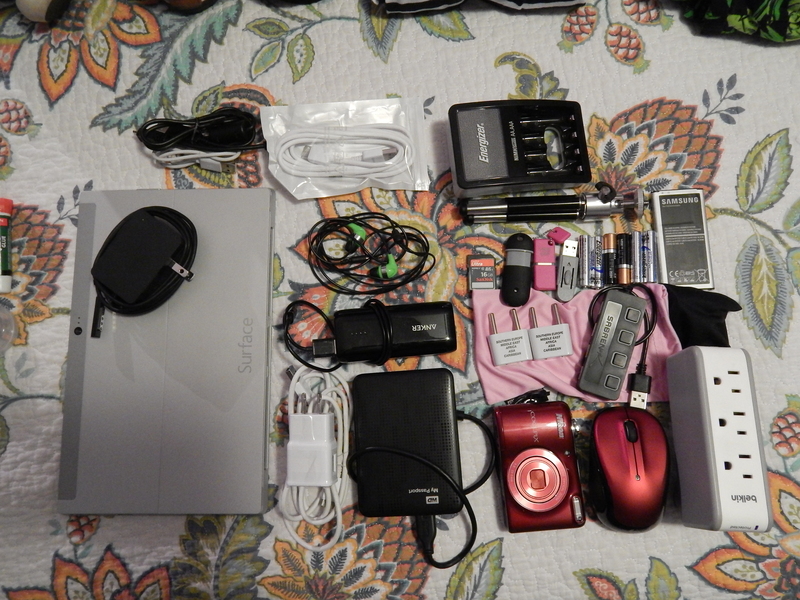 Let me make a list so all you readers can get some perspective on what a lady could pack for a two month trip. So there you have it, after many months of condensing and reevaluating what I really did and didn’t need this is the list. It may not seem like a lot but laundry does exist in Europe. Not only that but I managed to find some laundry soap that is ideal for backpackers like myself. Travelon makes a travel laundry soap that comes in sheet form. The biodegradable sheets dissolve quickly and create a washer in any sink you’d like. Therefore by doing some laundry I can pack less clothes and not be weighed down if I pick something up some pieces along the way. This is a great tip that any traveler should consider! 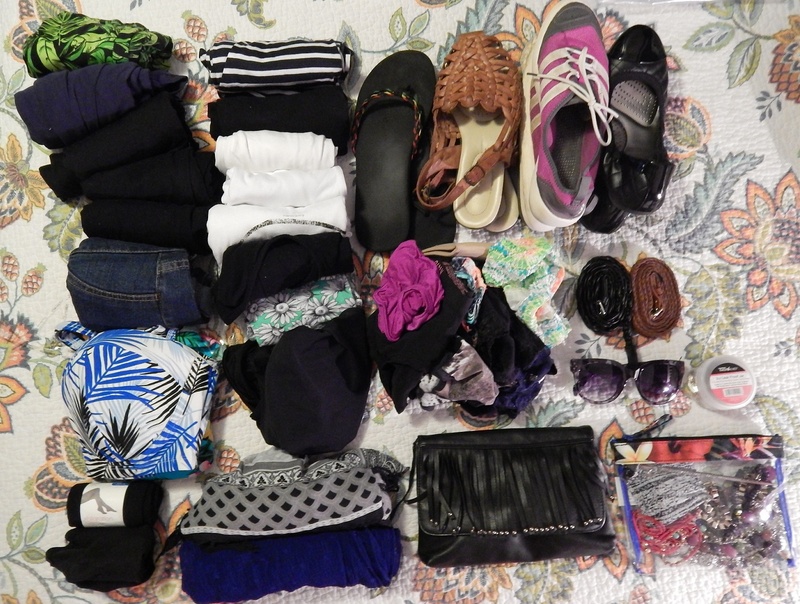 My saving grace on fitting all of this clothes into my pack in an organized manner is PACKING CUBES. Up until this trip I had never heard of them and boy was I missing out. These lovely little mesh cubes allow me to fit all of this clothes into ONE cube which condenses so that it fits compactly into my pack. Yeah yeah I know what you’re thinking “Chantel, you gotta be out of your damn mind if you think I’m going to believe that you fit all your clothes into 1 of these “packing cubes””. Well one of my girlfriends thought the same thing, so I proved it to her. I quickly started taking all of my ROLLED clothes (rolling your clothes is THE way to save space when packing) and transferring it into my packing cube. 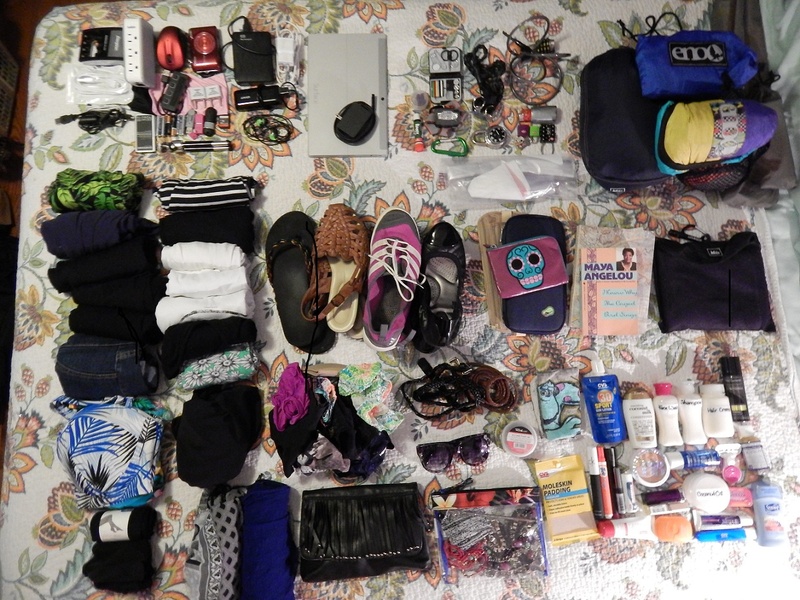 By the time I was done I had all my clothes in one packing cube and a speechless friend. Needless to say she ran out and bought some for her next trip and I managed to prove a point, double win! There’s the accessories too! The good thing about keeping things basic is that you can use accessories to spruce up your outfit and they usually are half the size than any kind of clothes you’d want to bring. So bring that statement piece necklace, or two and some of your favorite earrings. But keep the expensive stuff at home, you don’t want your day to be ruined because you left that ring your aunt gave you on your 12th birthday in a random bathroom in France. Then there’s scarves. These are always essential in case you decide to visit a religious site, need a place to sit at the beach or want to jazz up an all-black outfit. Okay, here’s where we get into gear. Because of when my girlfriend and I are going it would only make sense to bring our three pound tent and get some camping in. Camping in Europe means cheaper accommodations (which are great since our budget is tight) and great locations. I’m talking campsites nestled on the Italian coast, in the middle of Bavaria and alongside some waterfalls in Croatia. In addition to the tent, we will bring a footprint as well as a sleeping bag for each of us. Then last but certainly not least you guys know I cannot travel to Europe without packing my trusty hammock and hammock straps. Luckily with the gear we can split it up between the two of us so the weight can be adjusted accordingly. Now it’s time for the important stuff. 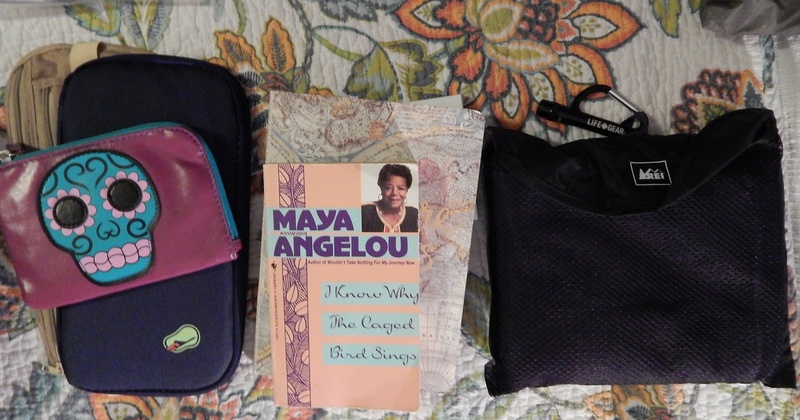 I absolutely need a great book to read (for this trip it will be I Know why the Caged Bird Sings by Maya Angelou) and a travel journal. Then let’s talk documents. Make copies of EVERYTHING! I have copies of my flights, my rail pass, my credit cards & ID, my passport, and hostel reservations that I’ve already booked. I have a travel document organizer that has some of these copies hidden in it. Then there’s a money belt nestled into the depths of my backpack that has some of these copies, an extra credit card and euros in case of emergency. There are also copies for some family members back home in case god forbid anything happens. Then for an added safe measure, the really important stuff has electronic copies too! It’s all about being ready for whatever situation may happen! But now that we’ve covered all the bases the next thing is to just throw this pack onto my back and go make my dreams come true. I hope one day you can do the same! 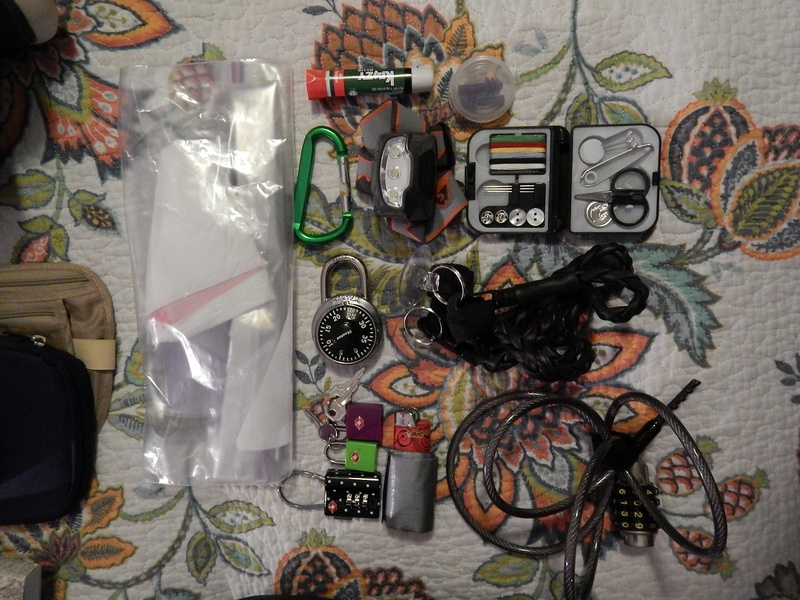 Everything all nestled into their packing cubes, ready to go in the backpack!